On September 15, 1821, the Captaincy-general of Guatemala (formed by Chiapas, Guatemala, El Salvador, Nicaragua, Costa Rica, and Honduras) officially proclaimed its independence from Spain and its incorporation into the Mexican Empire, which was dissolved two years later. 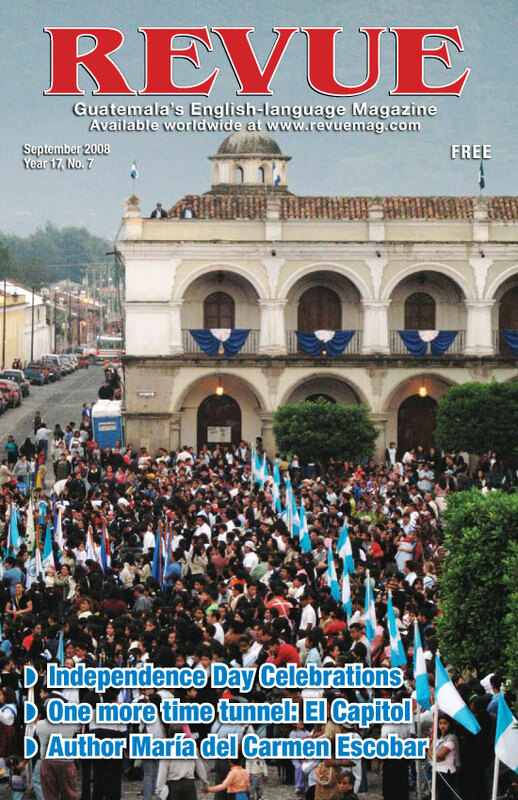 This month, 187 years later, Guatemala and most of Central America celebrates that independence in many forms. 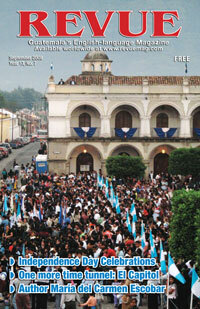 Ken Veronda describes many of them in his latest installment of the Sensuous Guatemala series. 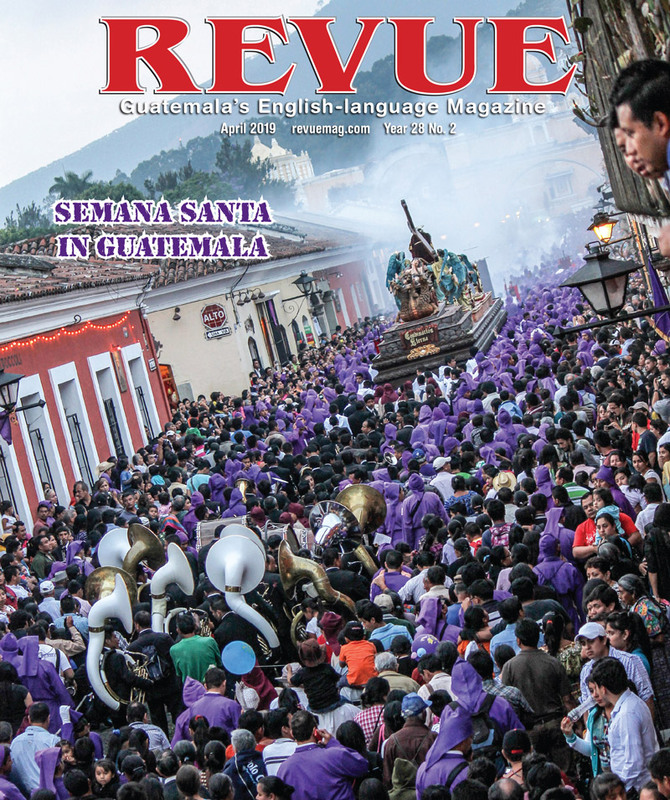 The stunning cover photo by Rudy Girón is from last year’s celebration on the 15th. 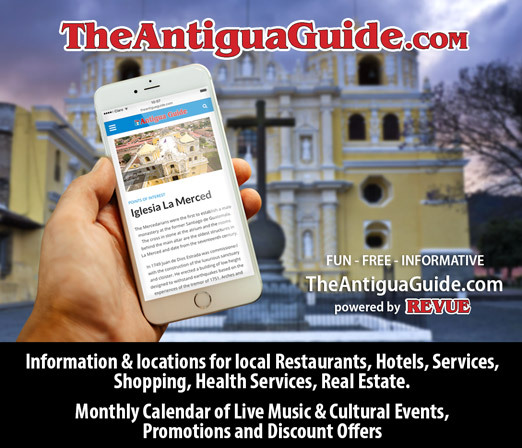 Our dynamic duo of Jack and Joy Houston have once again made the past come alive with the story of La Recolección, one of the last built and most impressive ruins in La Antigua. Dwight Wayne Coop offers up a few articles including One more time tunnel: El Capitol. After reading some books by María del Carmen Escobar, Mr. Coop poses a question in Who is Latin America’s finest scribe? He then goes on to introduce us to one of Panajachel’s colorful personages in Just call me Indio. 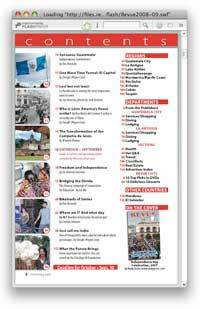 Throughout the magazine the quotations that we normally scatter about have a common thread in this issue. We’re sure you won’t have any problem figuring out the theme. The Transformation of the Compañía de Jesús is an inspiring story of beautiful restoration work and increasing educational resources in the new home of the Centro Iberoamericano de Formación. We also have an historical quiz from Carlisle Johnson, and questions about the future from the Panchoy 50 Foundation. As always we have a complete cultural guide via DateBook as well as more information and facts to help you enjoy your September.